Our dear Dan Dafoe, adored husband of Erica, beloved son of Jackie, nephew, brother & friend to so many, surfed his last wave at Fort Cronkhite on Wednesday, January 20th. We are heartbroken by the loss of this beautiful person, and simultaneously blown away by the outpouring of love and the many, many stories of all the lives he touched. As a child, Dan's life was changed by adults who recognized his interest in surfing, took him out on the water, and taught him the ropes. He became a lifelong surfer, surfing Cron every day and mentoring many young surfers along the way. Dan was also a committed musician. He had just completed a local tour with his punk bank, The Atomic Machines . It's pretty amazing, actually, everything that Dan was able to do in a day: work 14-hour days as the owner of his own business, All Phase Construction , surf, practice and/or perform with his band, and still give 100% of his attention to whoever he happened to be talking to in any given moment. And be the best husband ever. When Dan and Erica talked about what they would do, for example, if they won the Power Ball, Dan would say that he'd give the money to help kids. 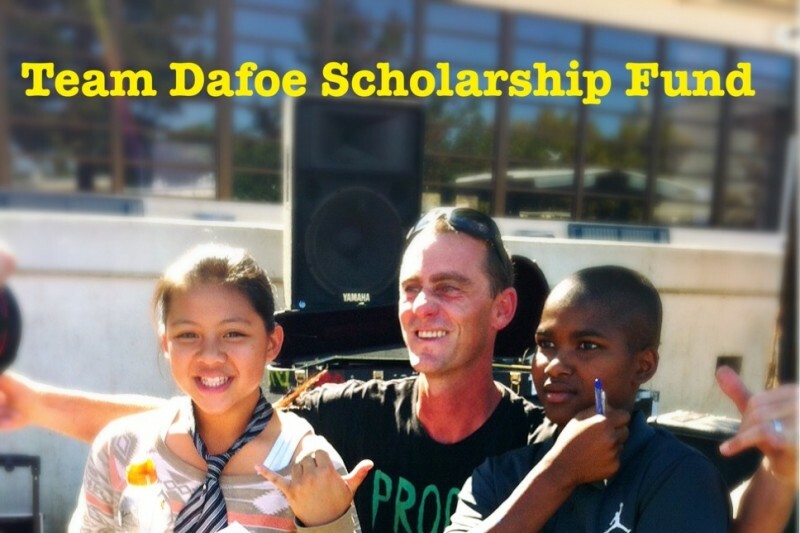 So we can't think of a better way to honor his memory than to create the Team Dafoe Scholarship Fund. Working with our friends and partners, Prooflab , Big Dog Surf Camp and Magic West Music School, let's give the gift of surf and music lessons to kids who need them. We want to thank everyone so much for all of the loving messages, the stories, the food, the flowers, the hugs. 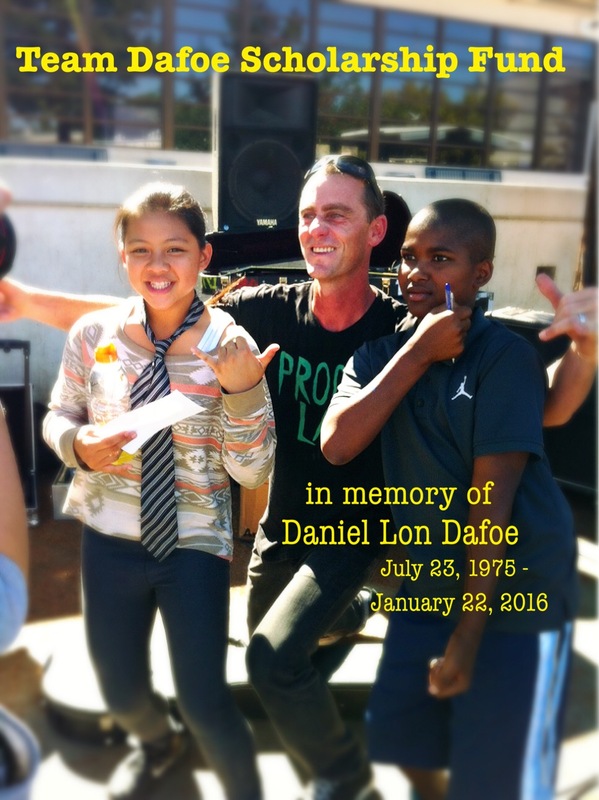 We hope you'll join us in extending Dan's legacy to the next generation of surfkids and punk rockers by contributing what you can in his memory to the Team Dafoe Scholarship Fund. Ohmygoodness, you guys! THANK YOU for all of the generous donations. 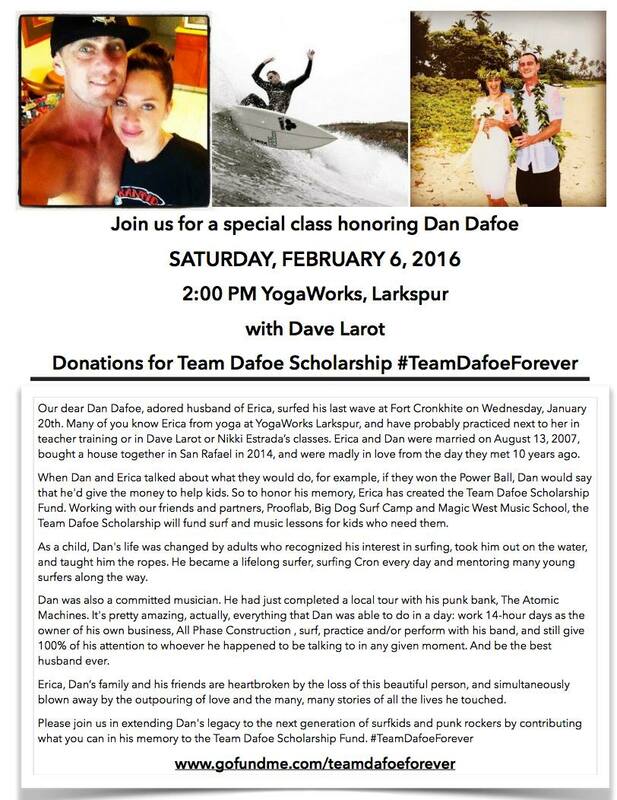 We are delighted to announce another fundraiser for the Team Dafoe Scholarship Fund, taking place this Saturday 2/6 at 2pm at YogaWorks in Larkspur. Please come join us for a strong, beautiful class led by Dave Larot. BIG Thank You to everyone who has donated and shared so far! Thank you for the beautiful messages and for all the love raining down on Erica right now. I know she appreciates every bit of it and squeezes you all in return. 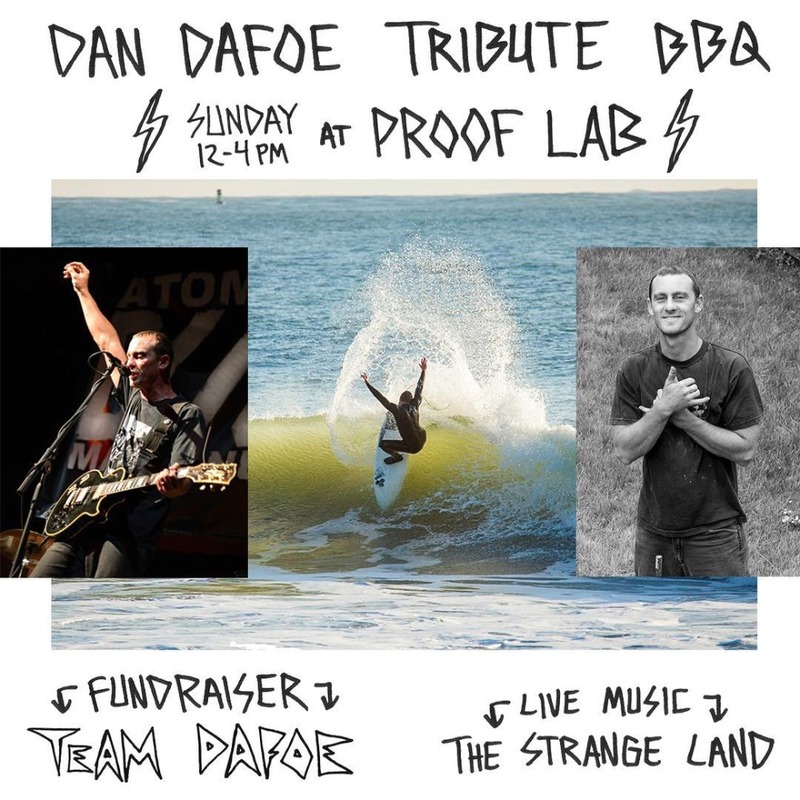 In case you're in the area, the wonderful people at Prooflab are hosting a fundraiser this Sunday, January 31st, from 12-4 in Mill Valley, with special auction & raffle items, live music by @thestrangeland , skate jam & family style BBQ. Please come on over if you can. Would be lovely to see you. Wish this family the best, sorry for your loss. We love you to the moon and back!! !